Your castle has been attacked by Lord Grayson, you’ve managed to defend yourself but now you need to reconquer your land from the hands of your enemies! 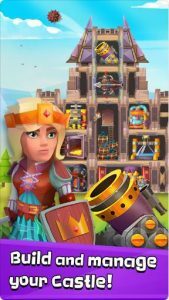 Castle Revenge is unique mix of strategy and action games with realistic physics-based castle destruction! Directly control your attack and wreck havoc with realistic physics destructions! Be a king, become a hero!